I thought it's the end of the world! Momma has been suspiciously stocking up on cat food. Now we have food good for two months, and she's still buying more! Well, it's been raining like crazy lately, so maybe we're building another Noah's Ark. Or so I thought. 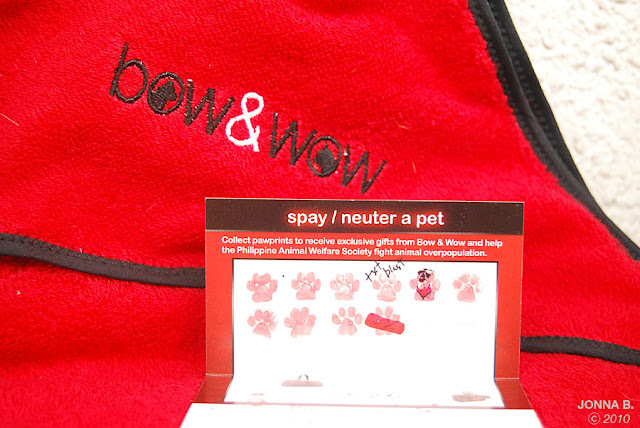 I found out this morning that momma is collecting pawprints for Bow and Wow's SNAP (Spay/Neuter a Pet) promo! 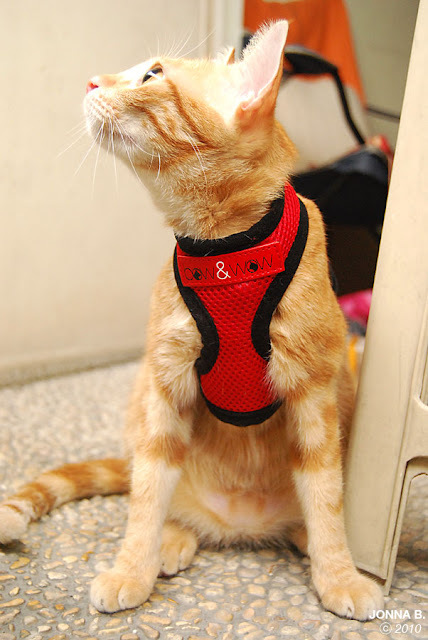 We already got a harness and a towel, and she told me that she still wants to get the Pet Travel Bag and the Pet Carrier. I think they look fabulous, so I can't wait to get my paws on them! 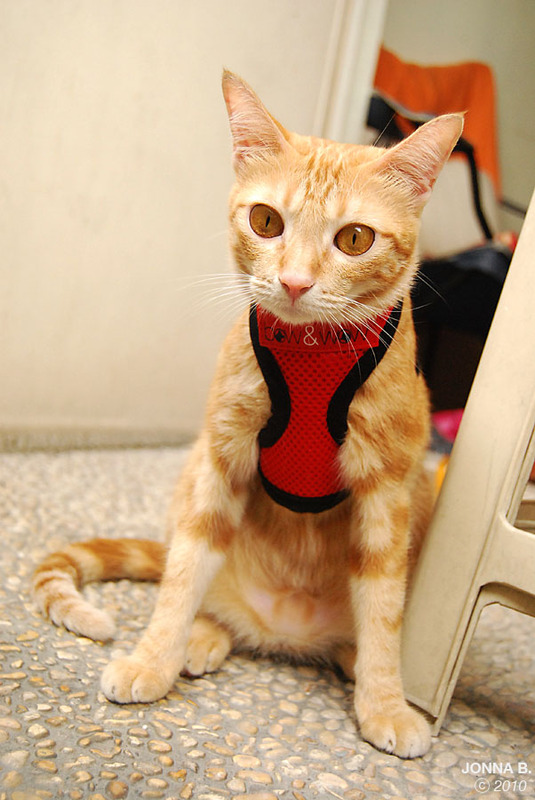 I am loving the harness already. 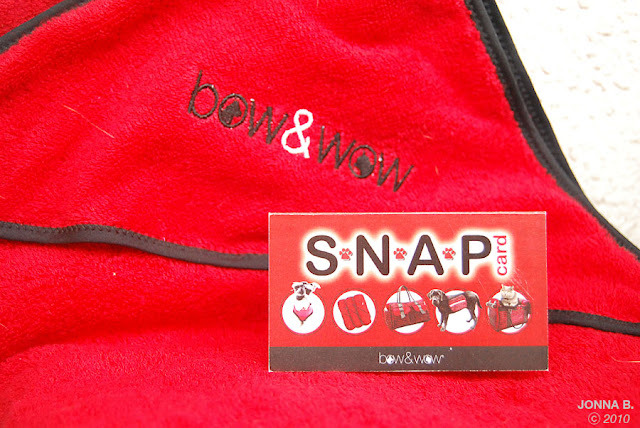 And here's the towel, which has a little hood to put my little head into after bath! It's so cute :) Their freebies don't look like they're being given away for free, because they are of great quality! Weeee! There's the SNAP card, too! 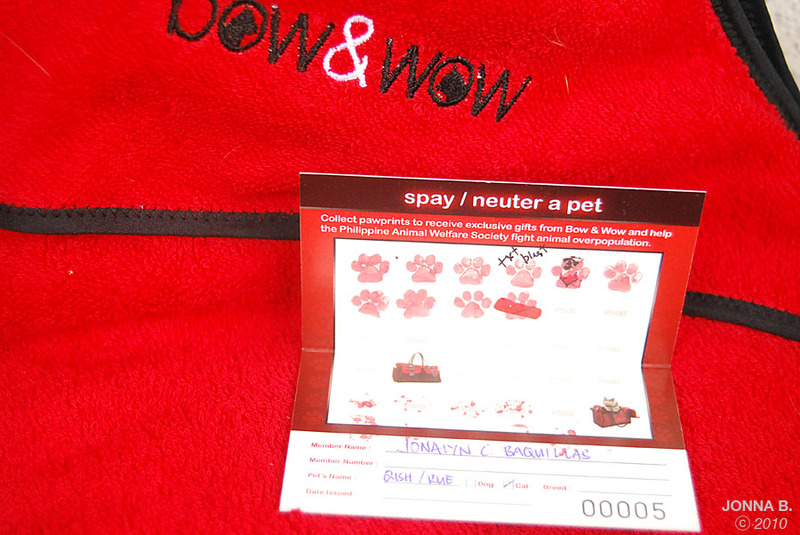 We still need 20 pawprints to get the Pet Travel Bag and the Pet Carrier!